Greetings to the members of AffiliateFix! We would like to introduce ourselves. 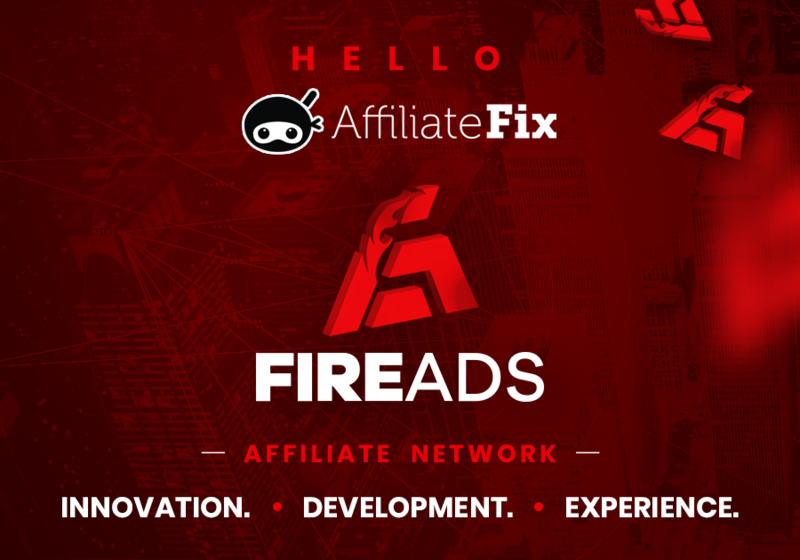 We are FireAds – an affiliate network operating worldwide with thousands of partners who successfully monetize their traffic! 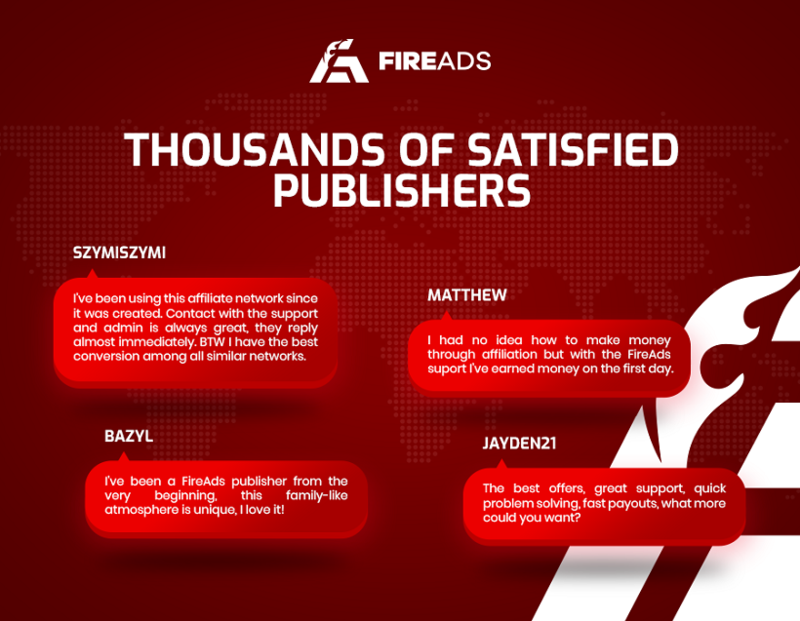 FireMedia have been working in Polish and global markets since 2011.Thanks to our experience and skills, we made FireAds.org a network and one of the most popular brands in Poland, currently spreading to the new global market. Are you bored of networks where publishers are despised? FireAds is one of the few networks to focus on publishers’ needs and try to meet their expectations. We constantly improve our network to make our publishers feel they are a part of the project. Our support and managers are available 24/7, so if you have any questions, problems, or you just simply need help with monetizing your traffic, we are here to offer help in any case, almost instantly. Thanks to our large variety of campaigns, everyone can find something for himself. Currently, we offer campaigns of the most renowned global brands! … and many more! 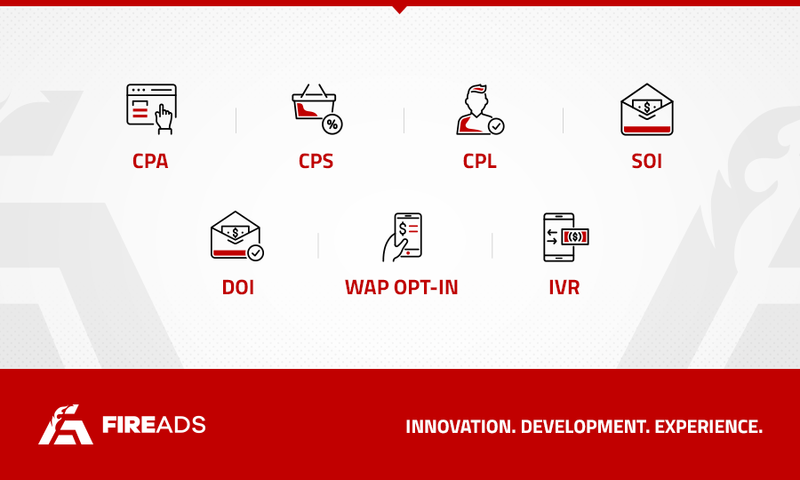 New campaigns are added regularly. If you don’t know how to monetize your traffic, just message us and we will find a solution for you! All of this with the best rates in the market. Many possibilities, like DEEPLINKS, which give us a tool to adjust any offer to our visitors, which increases the income even more. We are aware that nobody likes to wait for money for too long. 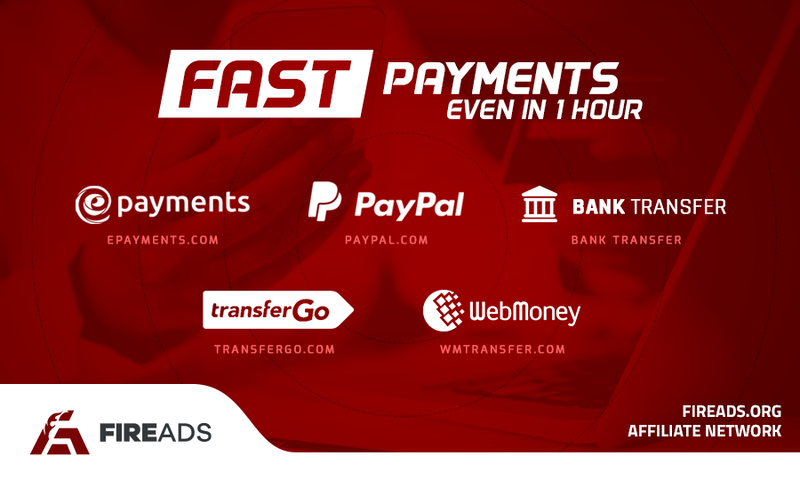 So we do our best to meet expectations and offer payouts within up to 1h (e-wallets), up to 48h and a standard payout within up to 14 days (local bank rules apply). The minimum to withdraw in our network is 20$. 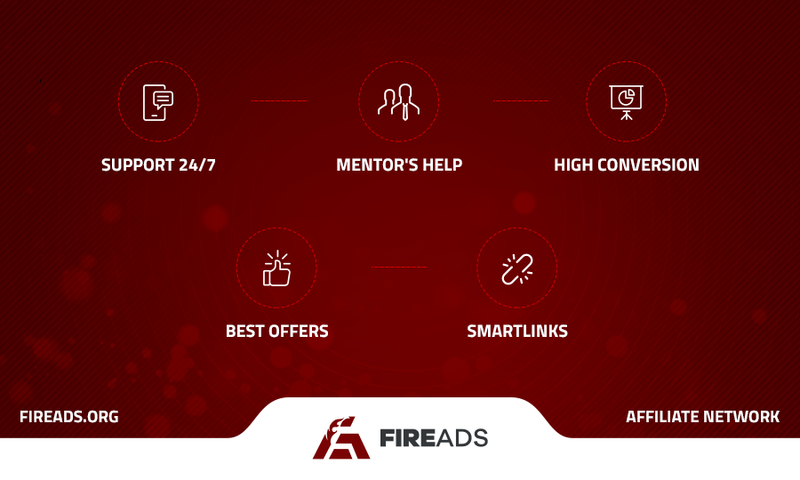 Join us today and check out the best affiliate network in the world – FireAds!